Christmas celebration is incomplete without letters. 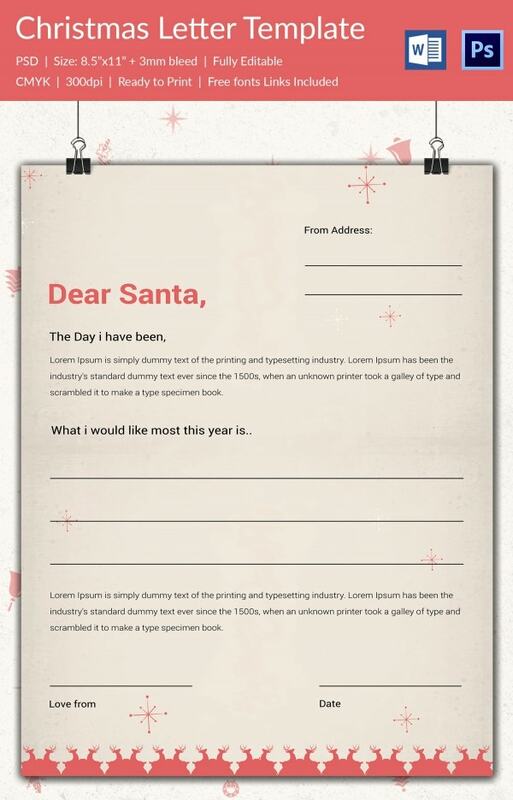 It could be a child’s letter to the Santa Claus or the much adored gift-giving old man’s letter to a child. 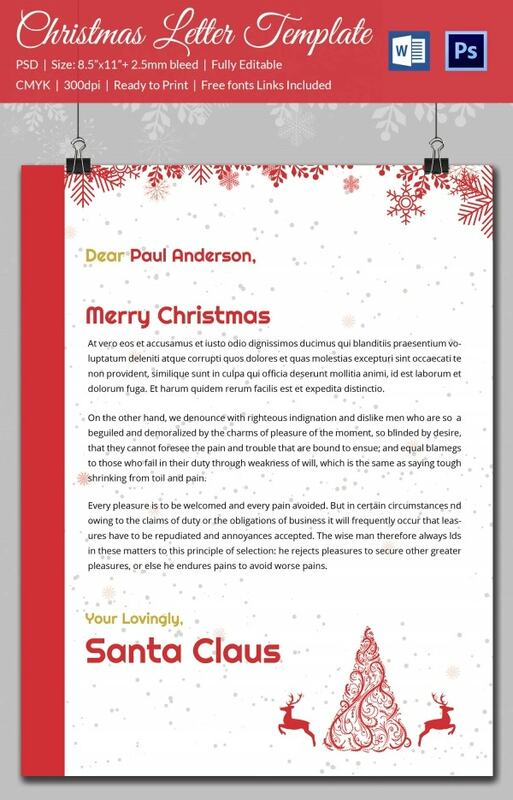 Besides, companies too prefer a special festive letterhead when it comes to sending their Christmas wishes to their clients. 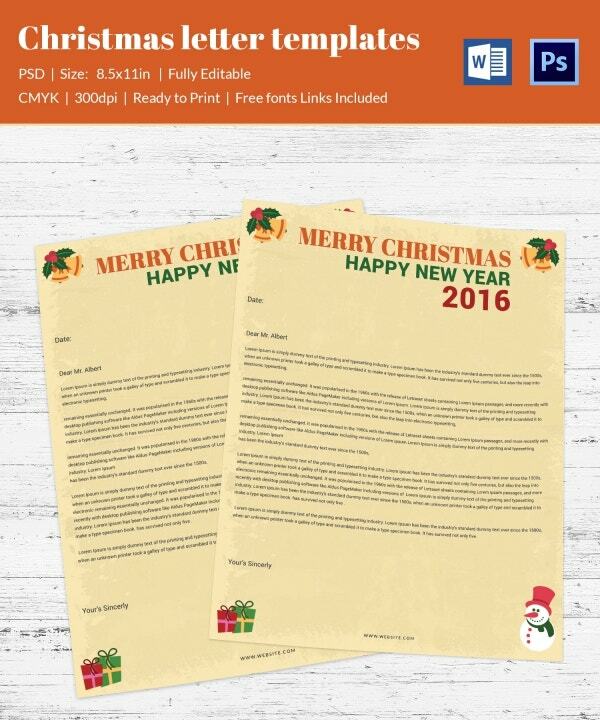 If you too are on the lookout of Christmas letterheads, there are letterhead templates online, especially tailored for the holiday season. These are pre-designed with typical Christmas icons like holy berries, Christmas tree etc. so that you don’t have to design anything. 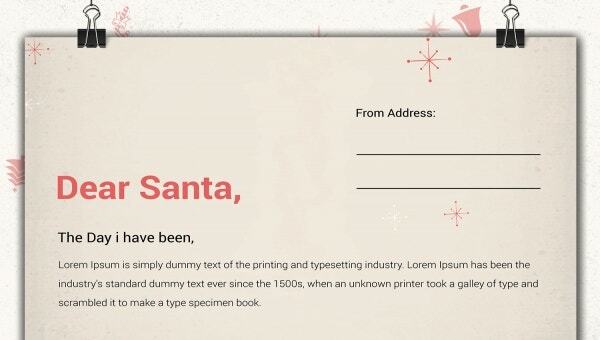 This is an adorable Christmas letter template where your little one can write about what he or she would like to receive from the good old generous man this holiday season. You can also see Christmas Postcard Templates. The jingle bells, the cute snowman, the brightly wrapped presents – all together speak of a vibrant Christmas spirit and hence assure the most fitting backdrop for your merry Christmas letter. With the silvery backdrop, the glitters, stars and the gaudy golden ribbons, the letterhead here immediately reminds of the gala festive season just round the corner and would be amazing as your Christmas letterhead. The Christmas tree at the top flanked by the reindeer and the holy berries at two corners assure an apt profile when you are looking for a signature Christmas letterhead. 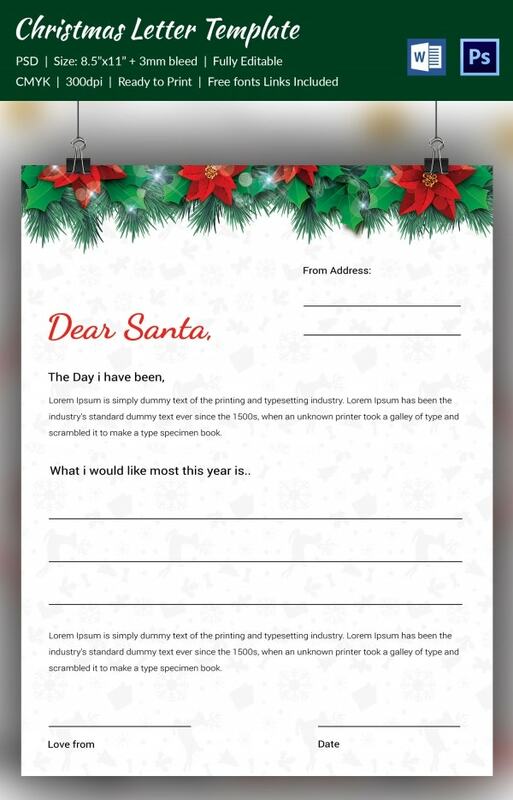 With the snow white backdrop and other typical Christmas elements like the snowflakes, Christmas tree and the reindeer- this letter template would be cool when you are planning to send your child a letter from his beloved Santa. You have a minimalist yet elegant Christmas letter template here which captures the holiday mood with its glimpses of Christmas tree at the sides, the cute stars, and the snow white backdrop. 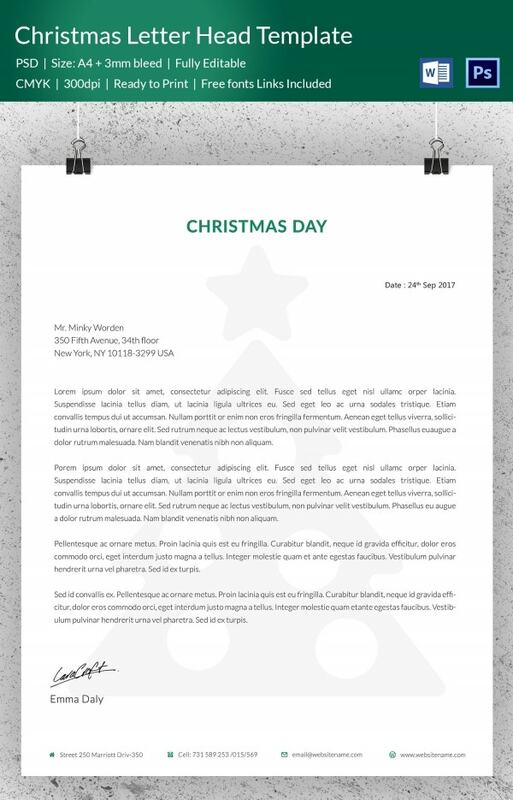 If you are looking for something suave and refined for your Christmas letter, this letter template here would be amazing with its creative background featuring a Christmas tree and star watermark. The hint of blue over a white backdrop speaks of the much rejoiced snowfall of the holiday season and the streaks of vibrant red ribbon remind of the gala Christmas celebrations. The green leaves, bright flowers, and the firs have duly created the vibrant festive Christmas spirit on the letter and it would be great when your tiny one is looking forward to writing a letter to Santa for his/her desired gifts. If you are looking for something vintage, simple, and elegant for your Christmas letter to Santa, this one would be a nice pick with its retro faded look and the sparkling stars. 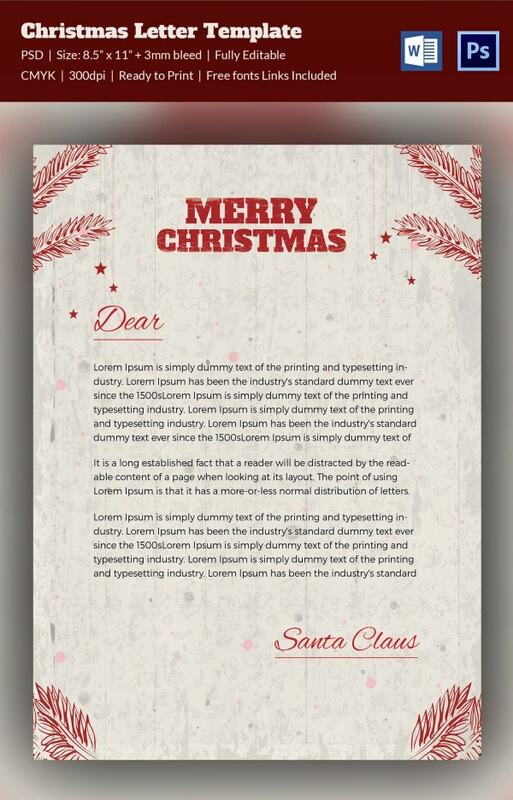 This Christmas letter template offers you ample space to write your heart out to Santa and the green backdrop coupled with signature Christmas elements at the top speaks of the perfect holiday spirit. 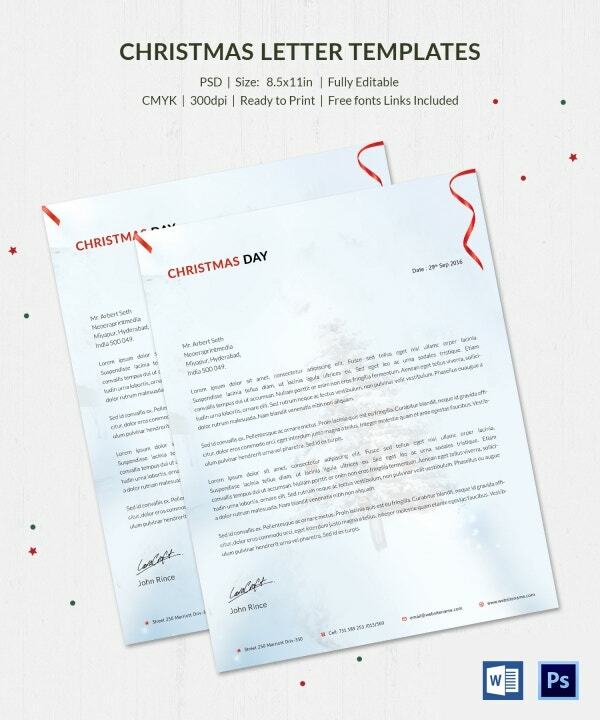 > How to use the Christmas Letterhead Templates? 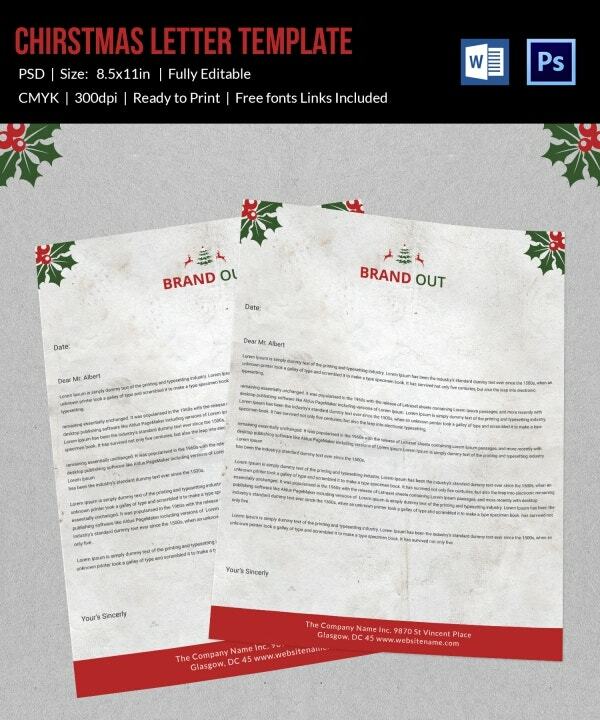 The Christmas letterhead templates can be used for a wide range of purposes. 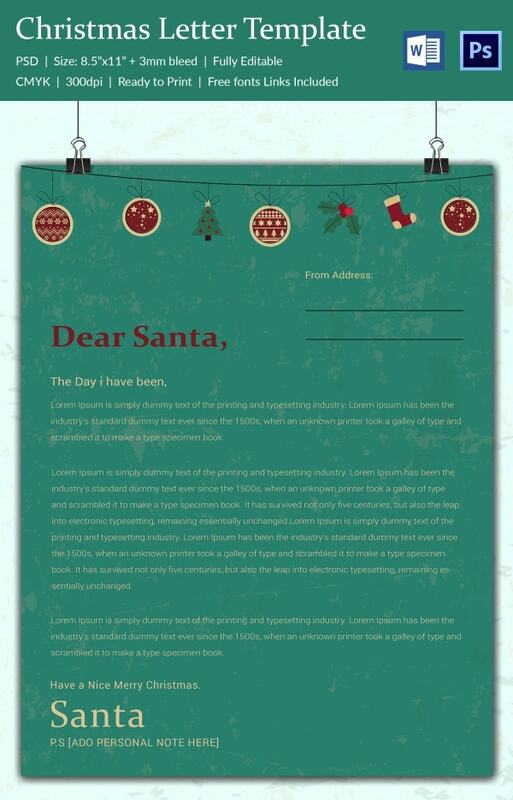 With the onset of festive season, your little one must have made a list of Christmas gifts he/she would love to receive from Santa- and such a letter template will offer him or her the perfect festive background to write about his/her wishes to the dear old Claus. 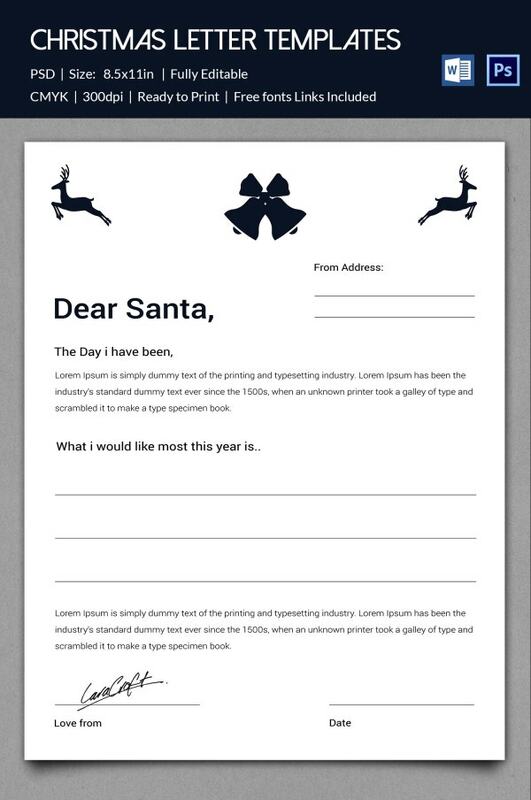 Besides, you can use these letterhead templates to pen down your annual warm holiday wishes to the near and dear ones. Moreover, the Christmas letterheads would always be handy when you are planning special promotion for your brand in the holiday season. 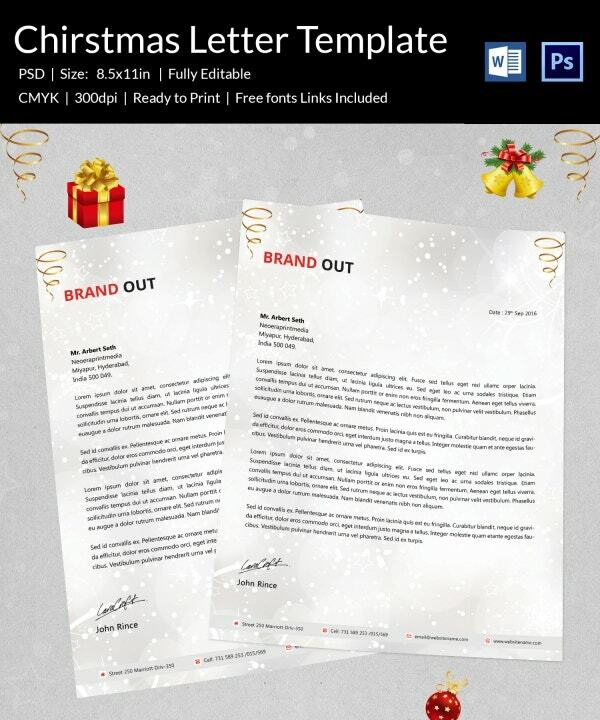 With signature Christmas elements at the backdrop, these templates offer you the needed canvas to wish Merry Christmas to your clients and inform them about your special festive deals.